"One Eye To Morocco", the new solo album from DEEP PURPLE frontman Ian Gillan, has entered the German Media Control chart at position No. 97. "One Eye To Morocco" will be released on March 31 in North America via Eagle Rock Entertainment. In Europe, "One Eye To Morocco" is available in the following formats: standard CD, limited-edition CD (details to be announced), 2CD (standard CD + CD single) and 2LP set. Produced and recorded in Canada with maestro Nick Blagona, the music was written by Ian Gillan together with longtime collaborator Steve Morris, as well as Michael Lee Jackson and Rodney Appleby — who both performed on the "Gillan's Inn" U.S. tour, as featured on the double album/DVD "Live in Anaheim" (released through Edel Entertainment). The voice is instantly recognizable; Ian Gillan's unique style draws you in. 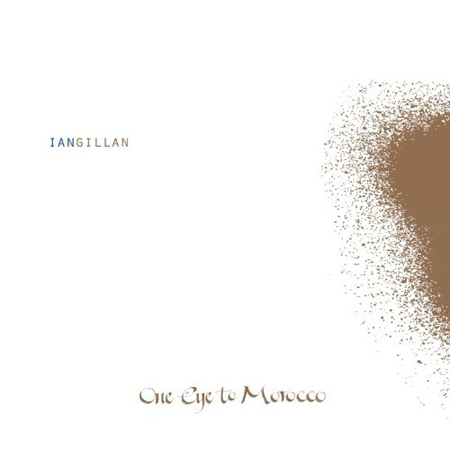 "One Eye To Morocco" goes deeper into the roots of rock and roll, soul and blues, than any other Ian Gillan solo album. The CD is the most adventurous and complete album Ian Gillan has recorded in his long career. His distinguished style admired by generations of DEEP PURPLE fans is showcased, as well as his musical versatility. The title track is a seductive orchestration supporting Gillan's entrancing style, followed by the pure rock and roll of "No Lotion For That", while "Better Days" and "Always The Traveler" are inspired soul ballads. "From a café in the Jewish Quarter of Cracow, where the conceptual seeds were sown, to harvest time at a Toronto studio, this is a magical journey for me," says Gillan. "Sitting alone in my room, waiting for no one to call me, lost in a dream of my own…"
Ian Gillan will premiere "One Eye To Morocco", on the nationally syndicated radio show "Rockline" with host Bob Coburn on Wednesday, March 25 at 8:30 p.m. PT / 11:30 p.m. ET. Fans are encouraged to speak with Gillan by calling 1-800-344-ROCK (7625).